Resident Evil Umbrella Corps – the new side game from CAPCOM is coming! s as a side dish. It seems like the only thing that ties this game to its roots of resident evil is the name of resident evil and included zombies. If these elements weren’t in the game, seems like it would be just another shooter. It actually gives you pretty much the influence of Resident Evil: Operation Racoon City with its third person view and fight of mercenaries. The game will be taking place at the last of Resident Evil Timeline, after the incidents which we came across at Resident Evil 6. In Umbrella Corps the UUmbrella Company is actually dead. 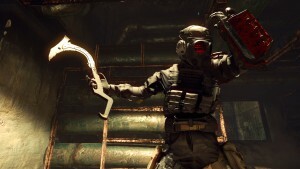 And we can just guess for now what the real story is behind the Umbrella Corps. 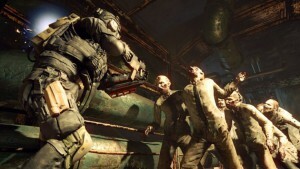 Will it be including some great timeline story like Resident Evil 1-2-3-4-5-6 or will it be just a budget shooter game? I think that it will likely be second. And the game just gives me the influence of Resident Evil: Operation Racoon City. One of the thing that differs this game from classical resident evil franchise games is the cover and stealth action. It is a competitive shooter where we can get cover, climb from walls and stealth-shoot from blindspots. Also the new thing is the zombie jammer. Zombies actually don’t attack you in this game, well, for a while. We are at the beginning equipped with zombie jammer devices on our backs which change our scent or aura or whatever makes zombies want to take a bite from us. You can freely float between zombies thanks to this device, but if it gets damaged during conflict, it looses it’s ability to repell zombies and eventually they all near you will attack. This can also be leveraged as a strategy, to damaging other teams’ jammers and leave them to zombies. There is also a brand new weapon, one of the most brutal kind. “The Brainer”. It’s a hook shaped survival hookish-knife. It not only provides you the ability to kill your opponents in one shot but using the brainer you can also climb walls in some places and hang yourself. 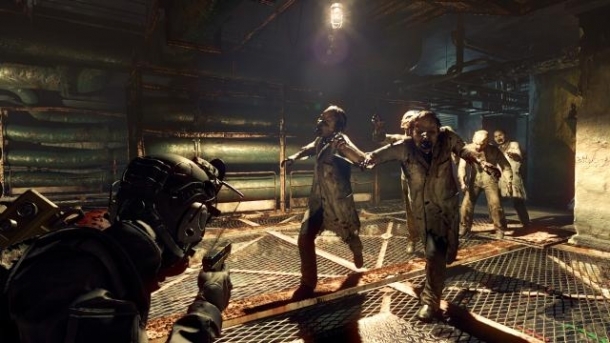 Resident Evil Umbrella Corps is going to be released at 2016 for PS4. The estimated price is $30. So if you guys are interested in this, keep following. I myself will not get the same taste that i got from the badass classic Resident Evil franchise, i can surely say that. So i’m a little curious, but i may give it a shot. See you next time! This is great. While I don’t think it will live up to the rest of the RE franchise, I definitely find myself interested in trying it. The brainer looks like its ready to go on a gnarly spree. Is this only going to be released for PS4. Any word on Xbox One? And for now it will be released for PS+ as far as i know. Good crisp page and post. Good use of visuals and clear succinct text. Great job. I also think social buttons were in a great place for readers to share the post. I’m not a gamer myself so I don’t know much about the games you wrote about but the comments seemed to be thorough. Thank you Steve) It is a great feedback and gives me a good idea about the site. I used to play resident evil for the PS1 and then also for the PS3. I used to love these games as a kid and now that there is a multiplayer based resident evil I most definitely have to try this out. The movies are also great as well they are very well made and directed. These games and movies usually don’t disappoint. Multiplayer feature is really fun to play. I njoyed it many hours. But also as a fan of old school Residen’t Evil, I can’t change anything to a good ol single player zombie killing.